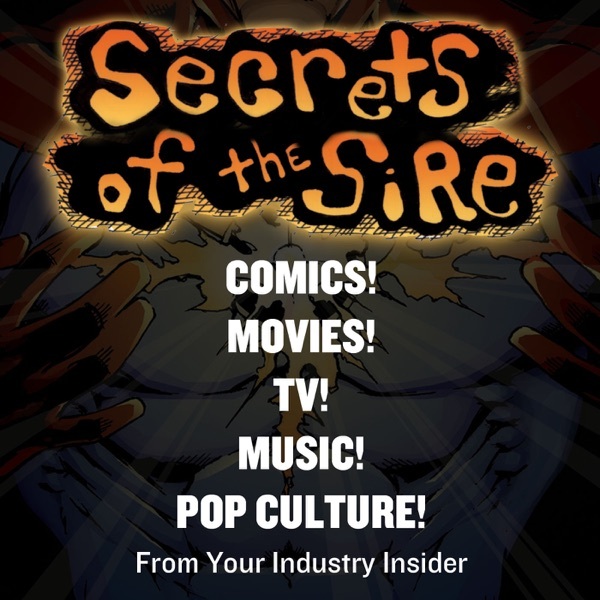 Secrets of the Sire, hosted by industry insider Michael Dolce, dishes on Comics, Movies, TV, Music and Pop Culture every Friday at 11am EST via talkingalternative.com. Dolce has been a professional Writer, Artist, Colorist, Web Guru and all around Awesome Dude for almost 15 years. He created Descendant for Image Comics and The Sire for After Hours Press. He has written for Zenescope and Wizard Magazine and colored projects for Image Comics, Silent Devil and The Force Media. He currently writes for the entertainment section of AMNY and Inquistr.com and is hard at work on some brand new comic book and creative projects. Ep 142: Halloween Special, Slasher Mount Rushmore & Top 5 Horror Films of All Time! SoS Ep 121: Is Solo Just So-So? SoS Ep 76: Spider-Man: Homecoming vs Wonder Woman – Who Wins The Battle Of The Blockbusters? SoS Ep 68: Guardians of the Galaxy 2 Review: How Many Baby Groots Make a Great Sequel? SoS Podcast Ep 39: Power Rangers, Walking Dead & Our Full NY ComicCon Recap! SoS Ep 34: Doctor Strange, Supergirl ArtistaCon & More! SoS PODCAST Ep 19: Are We One Hashtag Away From Gay Captain America? SoS PODCAST Ep 4: Breaking Into Comics – Learn How These Pros Did It!